Happy! 節約生活 in アメリカ: Kohl's: $5 off $25 or More Purchase Coupon! 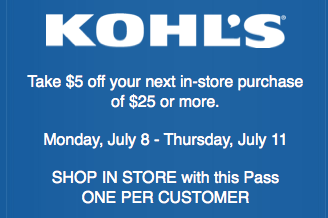 Kohl's: $5 off $25 or More Purchase Coupon!